Edward Abbey worked as a ranger at Arches National Monument, north of Moab, in the 1960s, before it was designated a national park. His experience there inspired him to write one of his best-known books, Desert Solitaire. Abbey died in 1989. 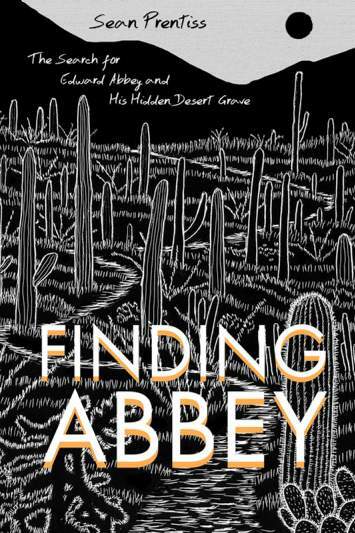 Author Sean Prentiss takes up the search for Abbey’s grave in his new book, Finding Abbey: The Search for Edward Abbey and His Hidden Desert Grave. What’s best about Sean Prentiss’ recently released book, Finding Abbey: The Search for Edward Abbey and His Hidden Desert Grave, is that the author loves and understands what made Southwest writer Edward Abbey tick, why Abbey’s writing is so resonant and why he was – and still is – so important. Reading Finding Abbey will cause you to rush to the copy of Abbey’s Desert Solitaire that’s been neglected on your bookshelf for so long. It will again make you question what’s going on in this world and why we need to protect wild places and will force you to look at your own life and actions – or, unfortunately and more likely, inactions. Heck, it may cause you to write a letter to the editor about that state land grab that’s going on. The fact that Prentiss weaves his book of self-quest around trying to find the grave of someone who wanted his remains to be left alone in the middle of a vast desert. It might make you uneasy, even while you understand Prentiss’ motives. People travel to Père Lachaise cemetery in Paris to visit the final resting place of Jim Morrison. They still traipse past Lenin’s embalmed body in Moscow’s Red Square. From this perspective, seeking Abbey’s grave is hardly different. It’s sort of weird, but there’s no real social faux pas. Abbey was a Pennsylvania native who ended up in the West. One of his early jobs was working as a ranger at Arches National Monument (before it was a national park). His time there prompted him to write Desert Solitaire (1968), perhaps the quintessential environmentalist tome for everyone who ever ventures to the Utah or Arizona deserts. Abbey also penned The Monkey Wrench Gang (1976), the environmental activist’s bible. He was a friend to some, a big pain in the side to ranchers and developers. He died in 1989, and his best friends, wife and in-laws apparently took his body to the Cabeza Prieta Wilderness in southern Arizona and buried him. There has been much speculation over the years as to where exactly this gravesite is, and many of his fans, for better or worse, would love to make the pilgrimage. Sean Prentiss, a Pennsylvania native, leapt on the Abbey bandwagon in 1994 as a college student at Western State in Gunnison. A few years later, Prentiss came to the Durango area, where he lived for four years, first working for the Southwest Youth Corps (now Southwest Conservation Corps). He spent plenty of time working and backpacking in the Weminuche Wilderness and still considers Durango one of his three favorite towns in the U.S. In 2009, living in Michigan and at a crossroads in his life, Prentiss set out to track Abbey’s life, to get inside his head. Over a two-year period, he traveled around the Southwest, interviewing Abbey’s friends, visiting Abbey’s favorite haunts and, yes, searching for the hidden grave. 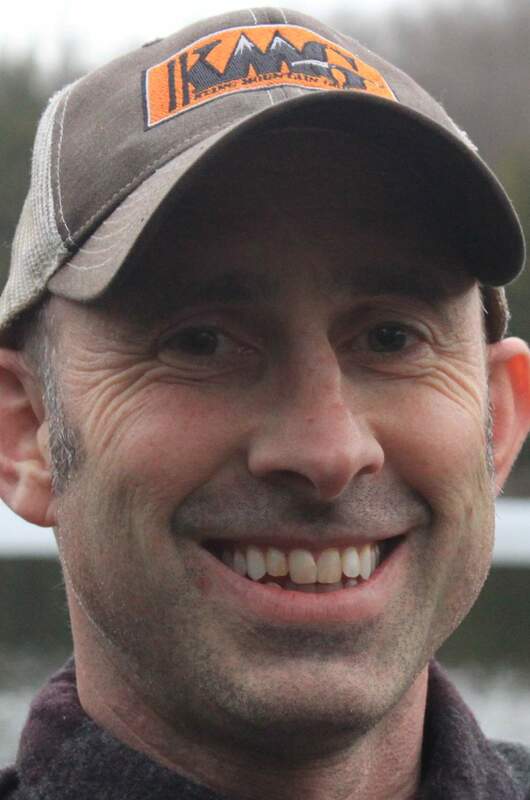 His book has been published by the University of New Mexico Press, and Prentiss, 42, now is an assistant professor of English at Norwich University in Northfield, Vermont. He still owns a small cabin in Pitkin, near Gunnison, and considers himself a part-time Colorado resident. He spent a good chunk of money during his quest, on gas, food, hotels and planes; it’s money he’ll never recoup totally from book sales. The journey led him to a more fitting place to live, and to his wife. While Prentiss chased the myth of Abbey’s burial, he constantly focused on keeping in mind that this was a real man with living relatives and friends. “One of my big concerns is being respectful. I can’t promise that everyone will view me as having done that, but I can promise you my goal was to do that,” he said. Durangoan David Petersen, a friend of Abbey’s who put together several of the late author’s anthologies and unpublished writings after his death, seems to be satisfied that Prentiss achieved his goal. During his journey, Prentiss interviewed Petersen and other Abbey cohorts, including Doug Peacock, Ken Sleight and Jack Loeffler. Knowing that Abbey’s other friends had agreed to interviews helped assuage Petersen’s reservations. But his first reaction to Prentiss’ interview request was that too much has been made of Abbey’s grave. Petersen may be 68, but that doesn’t stop him from getting stirred up about myriad issues, mostly environmental, and he’s concerned about a general malaise among the American populace in regard to those issues. Abbey was very outspoken and a beacon for environmental activism. “Having someone with a younger voice and fresh voice come in and remind us of who Abbey is, that’s a good thing,” Petersen said. Prentiss’ book is worth reading for several reasons, most of them elucidated here. But be prepared to set a little time aside because once you’re finished, you’ll undoubtedly find yourself scrambling through the bookshelves to brush up on Desert Solitaire. 6:30 p.m. May 14 at Maria’s Bookshop, 960 Main Ave., Durango. 2 p.m. May 17 at Coop Art Building, 25 N. Beech St., Cortez (sponsored by Osprey Packs).